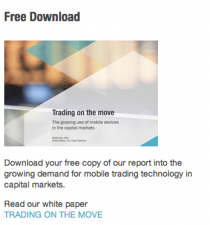 Caplin Systems has published a new white paper entitled Trading On The Move, which examines the growing demand for, and use of mobile devices in the capital markets. The paper authored by Patrick Myles, Caplin CTO explores the mobile revolution and looks at how it is being applied to the capital markets. Drawing on results from a recent Caplin Systems e-Trading survey, the paper identifies current supply-demand imbalances between what the buy-side say they want, and what the sell-side think their clients want, compared to what they currently provide to clients. If you haven’t seen it yet, there is an updated internet trends presentation on the KPCB website. IMHO, most interesting is the chart of internet traffic in India (page 16), where mobile is now the predominant internet access method. The infrastructure costs of a wireless vs wired distribution favour wireless. If the relative cost savings are passed on this will promote mobile internet access and increased demand for functionally rich smartphones to facilitate that access. So the observed trend towards mobile access will continue, not just for India but for all countries where wireless is cheaper/easier to access. And what are the actual mobiles being used? StatCounter has the stats – as per the following chart. Nokia is still very popular as in Africa but using Series 40 phones and the Nokia browser but the chart shows that Android market share is increasing. Compare this to the results in China, where the predominant mobile OS is Android. And then look at the Android growth in the original KPCB presentation on page 10 – growth is nearly 6 times that of the iPhone! 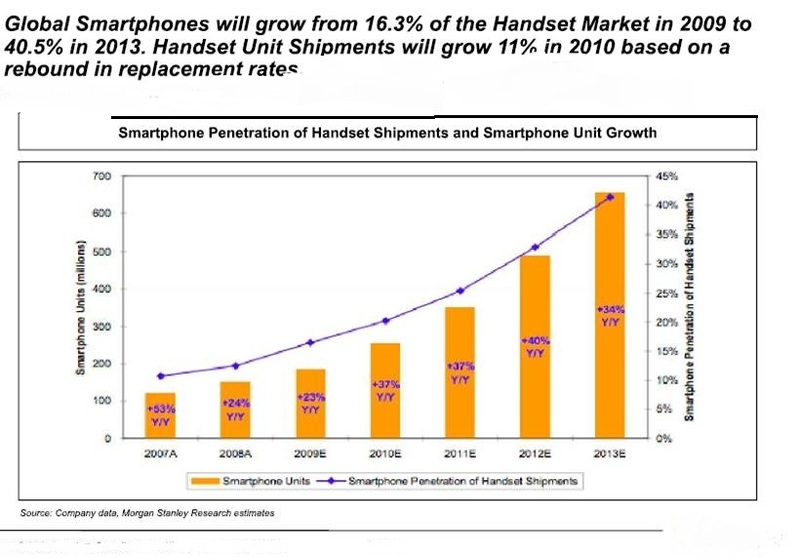 If the unit cost of Android smartphones remains lower than the iPhone, I expect this trend to remain not just for China but for many other geographies which is why the global trend towards Android phones will continue – have a look at StatCounter for the figures. From a software development perspective delivering solutions to many different platforms/operating systems, one more reason to deliver native web apps. There has been an abundant amount of articles published recently about the trend toward mobile computing. The drivers for this have been primarily the phenomenal adoption rate of products such as the Apple iPad. But the iPad is not the only reason for fueling this trend. A “perfect storm” has been brewing for some time now that melds together several technology growth trends. November 2011 has been a very busy month for Caplin’s marketing team. The company exhibited its single-dealer platform technology at four tradeshows on three continents and also attended an awards dinner and a networking event in London and a tradeshow in Madrid. 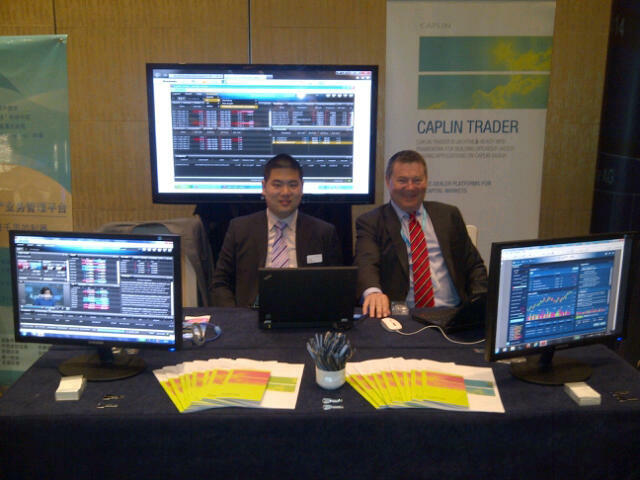 November 1st saw Caplin’s Asia sales team in Shanghai for the Chinamoney e-Trading Conference, presented by the China Foreign Exchange Trade System (CFETS) held at the Shanghai Marriott Hotel. This was probably the most complex as it involved translating both our brochures and our software into Chinese. As you can see below, Caplin established a presence at the show and some excellent contacts were made.